Popular comedian Peter Kay is planning a sensational comeback to the world of comedy after a low-key year. It has been revealed that he has been working on a top secret project with a fellow comedian that promises high quality humour. Last year, the 45 year old comedian cancelled all of his work projects including his stand-up. The comic did not go into detail about what the “unforeseen family circumstances” were about. Off stage, he is known for being very private and protective of his family. The Lancashire born funny man has not toured since 2012. His cancelled tour this year was to be his first for 6 years. His only TV appearances in the past three years have been in two series of Car Share. Adding to the stars troubles this year, he was the victim of cruel rumours that circulated on social media claiming that he had passed away. After cancelling his tours earlier on in the year, fans speculated that comedian had deceased. Some Twitter users incorrectly stated that his absence from the limelight was due to him no longer being with us, while others said that they had seen him out doing the “school run”. One user commented that a source had claimed that Peter Kay had passed away due to an illness which was not yet known and that his funeral was imminent. 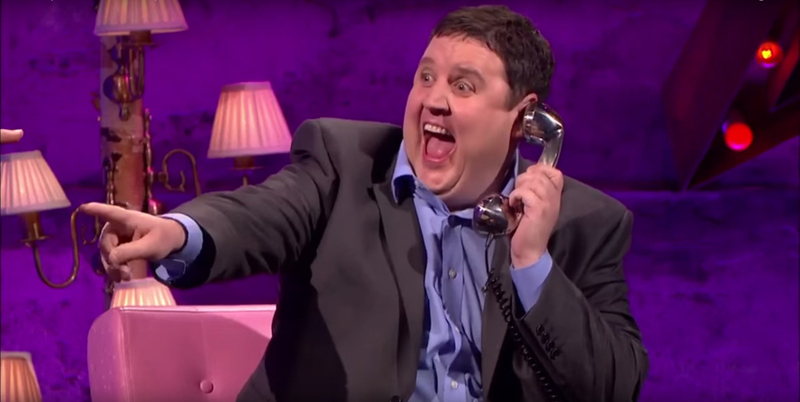 The 61 year old footballer sparked a frenzy amongst his 139,000 followers after he shared a picture of Peter Kay’s Wikipedia page which stated that he had passed away on the 4th February 2018. “Jesus Peter, don’t believe everything you read on Wiki! It’ll be a Hoax,” exclaimed another. Well-loved comedian Peter Kay has been making us laugh for more than 20 years. In 2000, he co-wrote and starred in ‘That Peter Kay Thing’ for Channel 4 which resulted in the acclaimed spin-off series Phoenix Nights. A year later, he recorded a promotional video recording Tony Christie’s hit “Is this the way to Amarillo,” which reached number one in the UK Singles Chart. His recent work includes his own sitcom Car Share. The Bolton born comic has also authored 3 books. Despite being of the radar for some time, it has been confirmed that the 45 year comedian is set to make a comeback. The sitcom won Best Comedy at the 2016 and 2018 National Television Awards Kay announced that the second and final series would air in 2017. The series came to an end in May 2018 when two special episodes broadcast on 7 and 28 May. The first of these, Peter Kay’s Car Share Unscripted, was in part improvised but did include prepared radio material and visual gags. Viewed by 8.453 million viewers, the finale left fans distraught that they would see no more of Kay and Sian. Kayleigh, played by Sian, walked out on John, played by Peter, in a Car Share scene which triggered a petition signed by more than 10,000 fans for a new series finale. Car Share returned earlier this year with a much happier ending. Although Allen admits that Kay is a perfectionist, he rejects suggestions that the comedian is difficult to work with. Sian did not divulge the name of the project or when it will be released. Accounts reveal that Peter Kay has enormous funds or around 30 million to fund his upcoming project which is near finished. Kay’s company, Goodnight Vienna Productions, has £19.8m of assets in cash and his other production firm, Hussein Traders Limited, asserts £8m in cash.